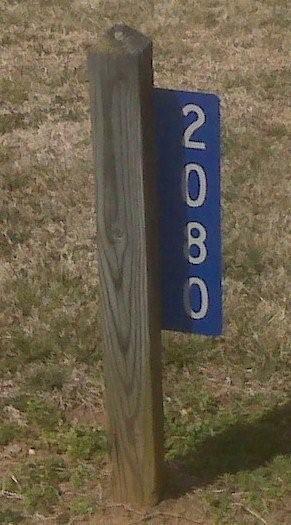 These blue address signs are reflective and the standard installation should take place on a mail box or wooden post (can be purchased separately from the Dept.) that is positioned in the front yard of the residence or business. If the sign is placed any where other than the front side of the location emergency responders will not be looking in the right place.